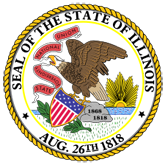 Press Release: Grants totaling $4 million awarded by the Illinois Emergency Management Agency (IEMA) will help 120 accredited city and county emergency management agencies throughout Illinois support local disaster preparedness and response efforts. 1. IEMA Awards $4 Million in Grants to Support Local Emergency Management Agencies (16-0530-IEMA_EMPG_Grants.pdf).